This article gives you tips to understand and eradicate parasites, pathogens and yeasts from your body; after all, they can be causes of cancer. 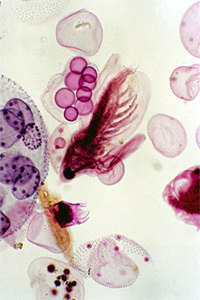 The term ’parasite’ can refer to a virus, pathogenic bacterium, microbe, yeast or a real parasite. Certainly no Doctor would ever be so trivial as to tell you a parasite was the cause of your cancer. But parasites, and even pathogens and yeasts do cause cancer - they drain you of nourishment and produce toxic and even carcinogenic chemicals. Yeast infection is the product of drugs or antibiotics, and anything that changes the acidity of the gut, like too much salt, sugar, pickles, binge drinking, smoking or stress. Yeasts are very debilitating. They sit on cell membranes and poison healthy cells; they colonise areas of the body and reduce local oxygen levels. Ask Geoffrey Boycott about the cancer on his tongue and what Chris Woollams did to get rid of it - he killed his parasite! And the fact that GPs never even test for these inhabitants is tantamount to negligence. Almost two thousand five hundred years ago, Hippocrates told us "All disease begins in the gut". Have we learned the lesson yet? 1: "I can’t have a parasite!" Think again. You’ve eaten imported fruit, you’ve been abroad, had ice in your drinks, you’ve tried sushi, smoked or marinated fish. You’ve eaten undercooked pork. You ate a salad in that cafe by the sea - how did they wash the lettuce? 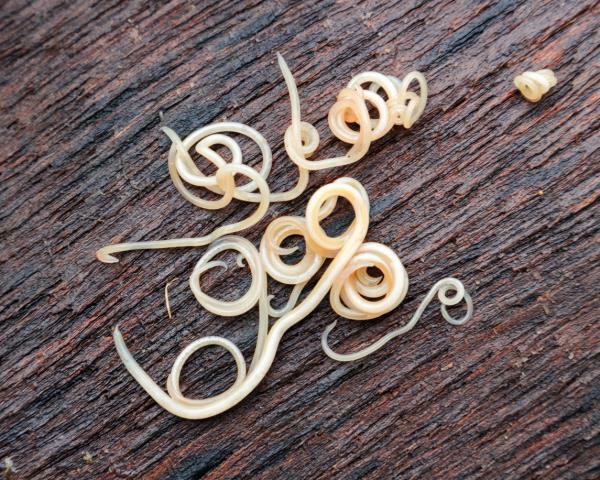 You could have threadworms from the UK soil. The incidence of liver fluke in British livestock has quadrupled since 1997. A parasitic bacterium, Borrelia bergdorferi, was found in every case of brain cancer studied, and in Alzheimer’s too. That 5 day course of antibiotics or the minor operation, that will have destroyed commensal bacteria and increased your levels of yeasts and pathogens. Maryland Medical School have stated that it can be 20 years or more before a pathogen or parasite comes out to play. 2: Research has shown that people who have food poisoning (for example, Salmonella or Listeria), even after it is killed off, have slowly increasing levels of E Coli present. This leads to Crohn’s, a higher risk of colorectal cancer and a shorter life. E. coli has been found in breast cancer tissue. It’s not found in healthy breast tissue. 3: It is officially estimated that at least 20 per cent of cancer patients have some sort of parasite, directly causing the cancer. Officially, viruses are the main culprits. 4: BUT - yeasts, amoeba, fungi and microbes are all parasites as well. Normally your good intestinal flora - the friendly bacteria - feed off them at night. The true figure could be as high as 70% of all people with cancer have some sort of parasite! 5: What if the good guys are not there keeping the bad guys in check? Prescribed antibiotics, antibiotics in foods, steroids, cortisone, chemotherapy drugs, stress, binge drinking, an acid body and over chlorinated water can kill off the good guys. Even GM food is apparently a threat. Professor Paul O’Toole from the Microbiome Institute in Cork, Ireland was adamant. ’Do I think an imbalanced gut microbiome could cause cancer? Yup, you bet!" Go to our new top selling book: Heal Your Gut - heal your body. 6: Yeast or fungal infection of the body may show up as yellow toenails, or thrush in women, but more general symptoms include feeling bloated after meals, wind, irregular bowel movements, sudden fatigue, throat problems, a hangover when you didn’t drink, mouth ulcers, allergies. Chronic Fatigue Syndrome? Go and have your gut bacteria checked! You need a Parasite, and yeast killer all in one - and to take it for a full 8 weeks - parasites lay eggs!! 7: Yeasts come in on every mouthful of food and drink you consume. It’s an occupational hazzard of eating! Common yeasts are called Candida albicans. See: Can candida cause cancer? 8: Private cancer clinics around the world are quite clear. Almost every cancer patient has candida. Contemporary Oncology (April 1993) said "cancer patients undergoing radio or chemo often finally succumbed, not to cancer, but to Candida albicans infestation". 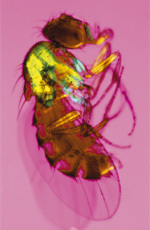 Infestation - caused by the orthodox cancer treatment, if you didn’t have it already. 10: How can you tell if you are infected? Go and see a homeopath for a Vega or BEST test. Have a stool test. Americans are far more conscious of this problem than the British - many Americans check every six months. 11: How do you remove the problem? 5 Steps - starve the parasite, kill the parasite, hold with effective and active probiotics, replenish your lost commensal bacteria, feed the good guys to boost levels of good bacteria. 12: Starve - cut out all cows’ milk products; yeast products (alcohol, bread, marmite, Oxo, common vinegars, mushrooms); all common sugar and high glycaemic foods (like fizzy soft drinks and refined wheat); all sweet fruits (especially citrus) and cucumbers, marrows, squash; and cooked high sugar root vegetables (carrots, beetroot, parsnips). 13: Kill - many things ’work’ - like sweet wormwood (artemisinin), caprylic acid (coconut), Pau d’ Arco, Neem, garlic, black walnut, cloves, fennel, bee propolis and hot chillies. 14: Hold - use a quality probiotic that contains L. Acidophilus, L. rhamnosus and Bifidobacteria. The first two produce lactic acid to hold pathogens in check, the bifido can attack them. L. rhamnosus also heals the gut wall and ’conducts the orchestra’ - increasing the good guys, and reducing the pathogens. Bifidobacterium infantis is excellent against gut problems like IBS. 15: Replenish - use foods with good (commensal) bacteria in them: like Kefir, sauerkraut, unpasteurised cheese, apple cider vinegar. These will add lost bacteria back into the gut. And healing your gut means you can start to heal your body. 16: Feed the good guys - people who consume the highest levels of soluble natural fibre have the highest immune systems. That means eating whole oats, and pulses like lentils. 17: Use immune boosters if you need - Natural Vitamin C with bioflavenoids, chlorella, total Vitamin E, zinc and selenium. Fish oils with added Vitamin D help gastro-intestinal deficiencies. Essiac, Biobran MGN-3, beta-glucans, astragalus, grape seed extract, cat’s claw and echinacea all boost the immune response. 18: Cut your glucose and fructose to a minimum. And lactose in cows’ dairy. They feed yeasts and cancer cells. Avoid fizzy soft drinks, puddings, refined or packaged foods, common bread or pasta, cake, bought fruit juice and smoothies, biscuits and refined honey. 19: Many fungi don’t leave, they just become dormant spores. Don’t let them come back to life. Stick to your diet. 20:: Detox - no, not some trendy liquid in a jar - use psyllium seeds and flaxseed with your green juices and smoothies (time to get a Nutribullet), take an Epsom Salts liver flush, or even have colonic irrigation - it’s a quick way to remove all the dead cells. The Yeast and Parasite Killer mentioned above ... is also a colon cleanse. Go to: Pancreatic and digestive enzymes - what’s the difference?